Check out this new Android smartphone that TP Friend Charles Quiachon saw at SM CyberZone North EDSA last Saturday, September 17, 2016. 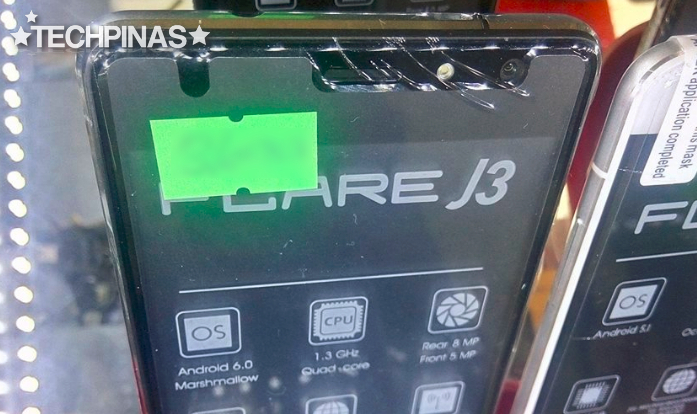 Cherry Mobile Flare J3 has yet to be officially announced by the top Pinoy handset company but obviously, many of its dealers have already started to display the model on their cabinets and to offer it consumers. With official SRP of only Php 3,699, CM Flare J3 is an entry-level Android handset that's equipped with a 5-inch HD IPS display underneath 2.5D Curved Glass touchscreen, an 8 MegaPixel autofocus camera with LED flash at the back, 5 MP selfie cam in front with - get this - soft LED flash, Full HD video recorder, Dual SIM (micro + nano) Dual Standby capability, 3G HSPA+ connectivity support, and a 1,900 mAh battery pack. At its heart, this handset runs Android 6.0 Marshmallow OS with a 1.3 GHz Quad Core processor (possibly either from MediaTek or Spreadtrum), has 1GB of RAM, and comes with 8GB of expandable storage via its dedicated microSD card slot. Sounds like a typical CM handset in this price bracket, right? Well, we're not yet done. "Mark, what's great about Cherry Mobile Flare J3 - according to the sales staff - is that it already has a Fingerprint Scanner for quickly unlocking it. This is the most affordable smartphone from CM currently that's equipped with this nice feature," Charles told me. 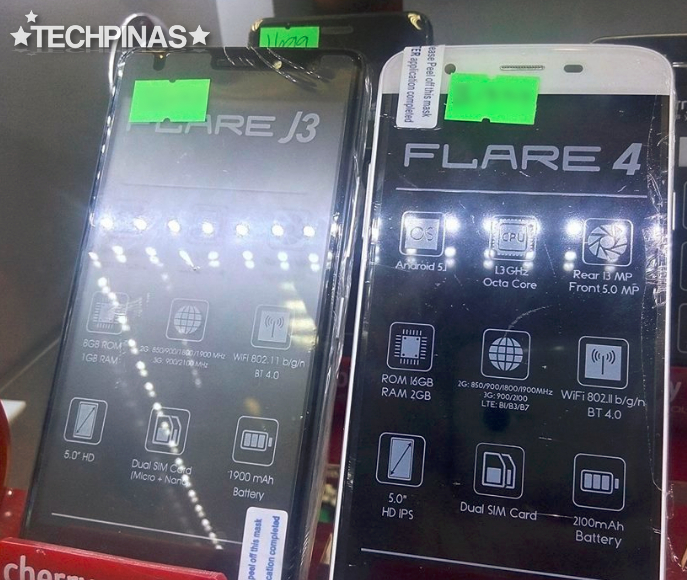 Learning that we have already posted about the handset, our friends from Cherry Mobile added that the Flare J3's Fingerprint Scanner can also be used for unlocking apps and for snapping photos as a camera button.